Binding: Saddle-stitched (with the exception of July Business Resource Directory). Preferred Materials: Digital ad format; film not acceptable due to digital work flow. Trim Size: 8.125" x 10.875"
Live Area: 7" x 9.875"
Blueline Fee: Advertising material received after the material closing date will be subject to a minimum blueline charge of $100. 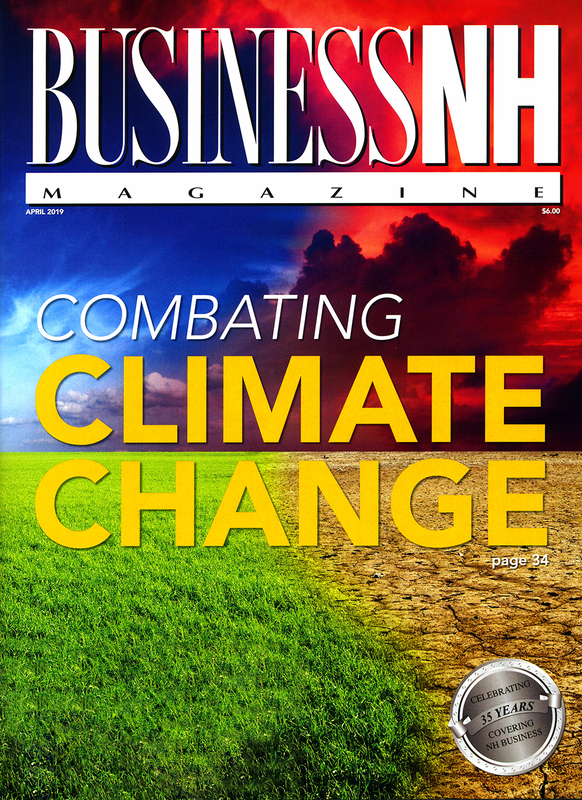 Business NH Magazine will accept native or .pdf files produced in the following formats: InDesign&comma; Adobe PhotoShop&comma; and Illustrator. If sending a .pdf file&comma; it must be created with Acrobat 4.05 or higher due to printing quality standards. All items in black and white ads must be converted to grayscale. All color elements in the ad must be converted to CMYK format. Please convert all Pantone and RGB elements to CMYK unless you are buying a special PMS or metallic ink (at an additional charge). Illustrator graphics should be saved as an .eps file. Photoshop graphics should be saved as a .tif file. Images must be submitted at 300 dpi and placed in the ad at 100%&comma; otherwise the image will print at a low quality. Bitmap logos should be provided at a minimum of 600 dpi. When e-mailing your ad&comma; please send it to your account executive's e-mail address. Cancellations: Must be received in writing. No cancellations will be accepted after space closing date. Cover positions cannot be cancelled within eight weeks of issue date. Publisher reserves the right to charge for unused space or repeat the previous advertisement if acceptable material is not received by material due date. Ads cancelled after the space reservation deadline will be billed at 100 percent. Contract year: Advertising must be inserted within one year of first insertion to earn frequency discount rates. Advertisers will be short-rated if frequency originally contracted for is not achieved. Credits earned by increasing frequency during a contracted year will be applied toward future billings. No cash rebates will be made. All verbal orders are considered binding unless cancelled prior to space closing date. Mixed sizes of ads in a campaign are welcome. Payment terms: Invoices are dated as of issue date. All past-due accounts are subject to an additional 1.5% interest charge per month. The advertiser and agency shall be held jointly and severally liable for past-due accounts. In the event of non-payment&comma; Business NH Magazine is entitled to any court costs&comma; attorney fees or other costs that might result from said non-payment. Full advance payment is required from all advertisers who have not established credit with Business NH Magazine. Agency Advertising: Advertising space rates&comma; production charges and other charges are not commissionable. All agencies are responsible for payment of all advertising ordered on behalf of their clients&comma; but the publisher reserves the right to hold the agency and the advertiser jointly and severally liable for all such payments. Publisher policies: The publisher reserves the right to reject or cancel any advertising that is not in keeping with publication standards. Advertisers and their advertising agencies will assume liability for all contents including text&comma; representation and illustrations of advertising printed and also assume responsibility for any claims arising therefrom against the publisher. The publisher reserves the right to place the word "advertisement" on any ad&comma; which in the publisher's opinion&comma; resembles editorial material. All advertising insertion orders and contracts are subject to approval by the publisher.